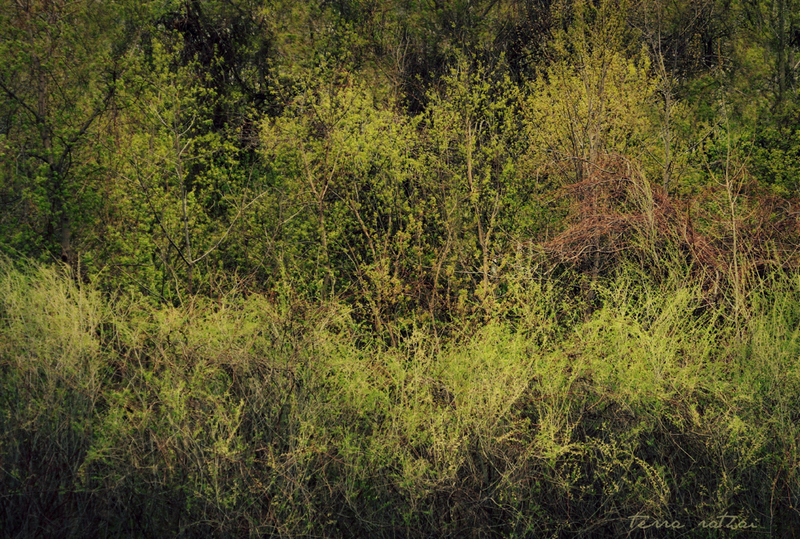 Posted on April 21, 2015 by Terra Rathai	This entry was posted in 365 Project - 2015, Abstract, ART, Flora, Landscape, native plants, Nature, PHOTOGRAPHY, spring, trees and tagged beautiful mess, chartreuse, co-existence, COLOR, dogwood, early spring, forest, green, harmony, landscape photography, Nature, new leaves, pattern, spring, texture, willow. Bookmark the permalink. Wow that is a beautiful mess!! I really appreciate that scene today, as I encountered the windy, cold, sleet-filled weather out here. Thanks for the hope of spring in this entire series! !